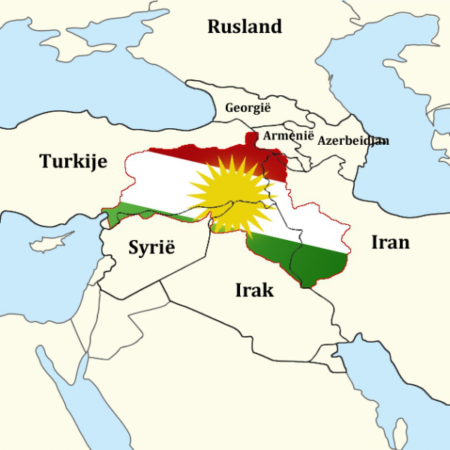 A pan-Kurdish national conference will be held in Moscow on 15 February with the participation of Kurds from Iran, Turkey, Iraq and Syria. Abdulsalam Ali, a member of the Democratic Union Party in Syria (PYD), said that they would discuss the current situation in the Middle East and the divisions of zones of influence in the region. Among the participants in the meetings are PYD-co head Asya Abdulla, the president of the Kobani local administration Anwar Muslim, and the former mayor of Diyarbakir Osman Baydemir. Representatives of Kurdish parties in Iran and Iraq will also participate in the meeting. But it’s unclear which parties from Iranian and Iraqi Kurdistan will be invited. In late January, members of the Democratic Union Party were invited to Moscow by Foreign Minister Sergey Lavrov to discuss the future of Syria and results of the ceasefire talks in Astana. Although Russia says the PYD should be included in the peace talks in Geneva, the Syrian opposition and Turkey made it clear that they do not want the PYD to be included in any peace talks. Nevertheless, Russian officials held several meetings with PYD official both in Syria and in Moscow. There were attempts in the past to hold a national Kurdish conference in Iraqi Kurdistan. However, due to differences between the Kurdistan Workers Party (PKK) and Barzani’s Kurdistan Democratic Party (KDP), the conference was delayed indefinitely. In the last few months, the PKK has called for holding a Kurdish conference. But it’s unlikely that the main Kurdish parties, the PKK and KDP, can reach an agreement over holding such a conference due to ongoing tensions over power-sharing and territory in Sinjar in northern Iraq, and the Kurdish areas of Syria –known as Rojava. The leaders of Syrian Kurdistan, namely, Asya Abdullah, the co-chair of Democratic Union Party (PYD), and Anwar Muslim, the chairman of the Kobani provincial government, will visit Moscow on February 15 for a conference on the Middle East, the head of the Council of the Federal National-Cultural Kurdish Autonomy in Russia told Sputnik Monday. Farhat Patiev said that the conference would also be attended by Kurds from other parts of historic Kurdistan: in Turkish Kurdistan, Iraqi Kurdistan and Iranian Kurdistan. In particular, Turkish Kurdistan will be represented by a former mayor of Turkish Kurdish-dominated southeastern city of Diyarbakir and lawmaker from the Peoples’ Democratic Party (HDP), Osman Baydemir. 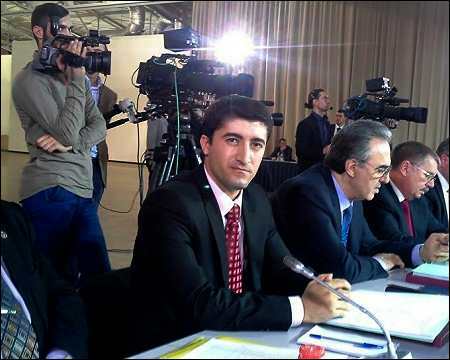 Kurdish politicians are expected to meet with Russian counterparts and give a press conference following the event.